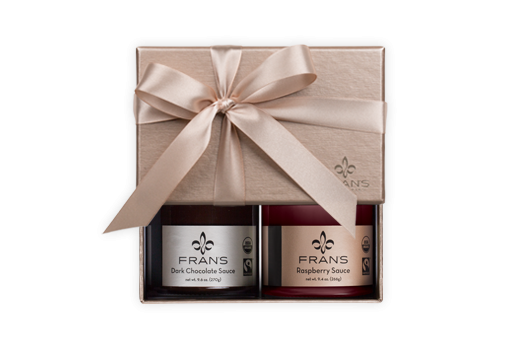 An elegant duo of our best-selling dessert sauces including one jar of our Dark Chocolate Sauce and one jar of our Raspberry Sauce. 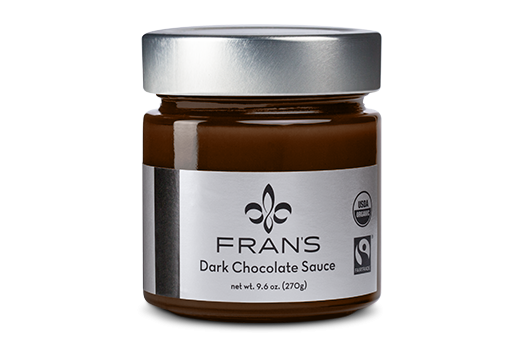 Our Dark Chocolate, Caramel, and Raspberry dessert sauces are made in small batches with all natural ingredients. 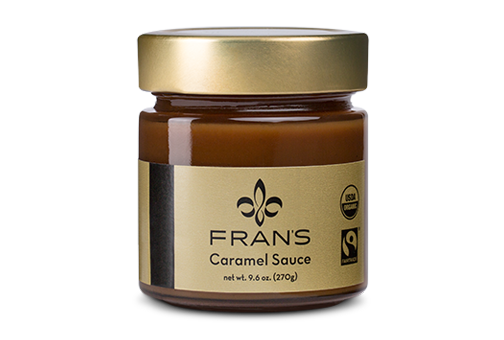 For optimal freshness and flavor, please enjoy your dessert sauces within 6 months. Prior to opening, store your sauce out of direct sunlight, in a cool, dry place below 68°F (20°C). 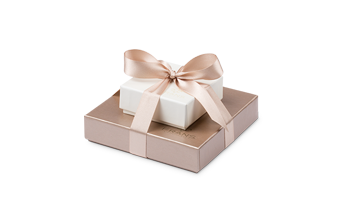 After opening, please refrigerate your dessert sauce and enjoy within 30 days. CHOCOLATE SAUCE: Cream* (milk), cane sugar*, tapioca syrup*, Dutch cocoa powder* (cocoa powder, potassium carbonate), dark chocolate* (cocoa beans, cane sugar, cocoa butter, soy lecithin), salt. *Organic. Cocoa, cane sugar: traded in compliance with Fairtrade Standards, total 43%. May contain peanuts and tree nuts. Refrigerate after opening. 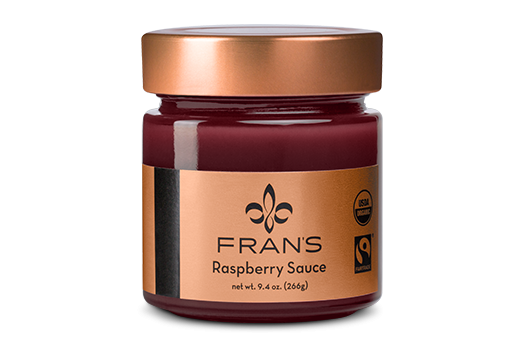 RASPBERRY SAUCE: Raspberries*, cane sugar*, lemon juice*. *Organic. Cane sugar: traded in compliance with Fairtrade Standards, total 36%. May contain milk, peanuts, and tree nuts. Refrigerate after opening.